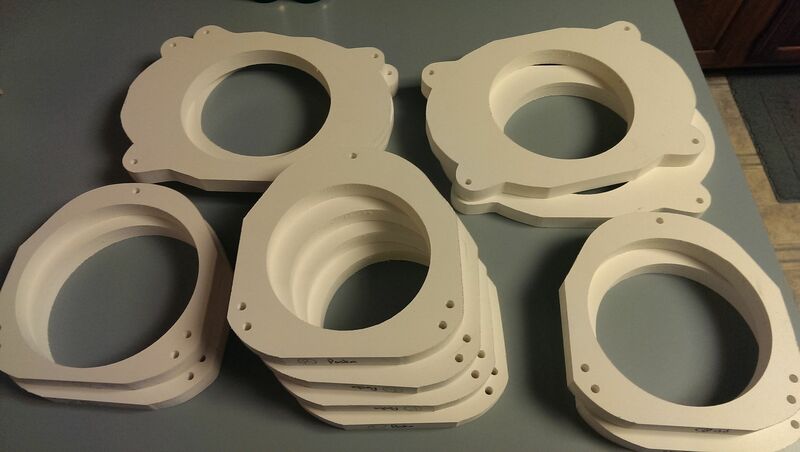 To allow for the installation of aftermarket speaker in the doors of many Subaru vehicles, I fabricate and sell spacers/adapters to fit most new and recent Subaru models. 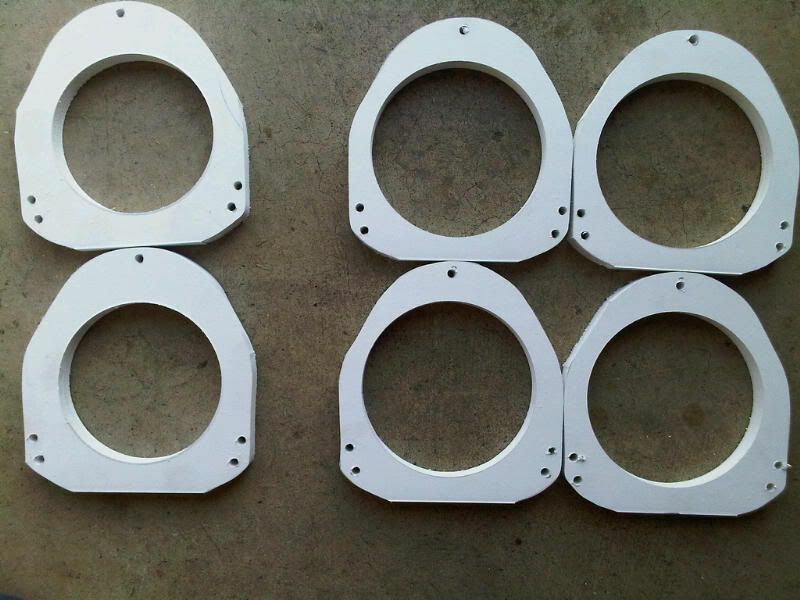 These replace the factory integrated speaker brackets and serve as both an adapter and a spacer to facilitate the installation of many aftermarket speaker models into your Subaru. 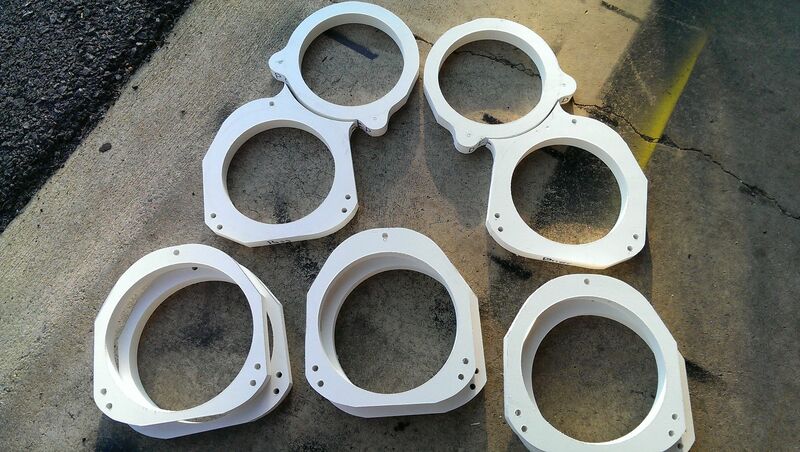 I make the majority of my adapters from 3/4″ thick PVC to prevent cracking, swelling, and rotting of the spacers – something that is all too common with traditional wood and wood composite spacers or adapters. I also make a dash adapter bracket for use in those cases where the stock dash speaker location is not the correct size for aftermarket tweeters. For the 2012+ Impreza, Crosstrek, 2010+ Legacy, 2014+ Forester, and 2015+ WRX & STi, this bracket goes in the stock dash location and allows you to flush mount your tweeter in the dash location. 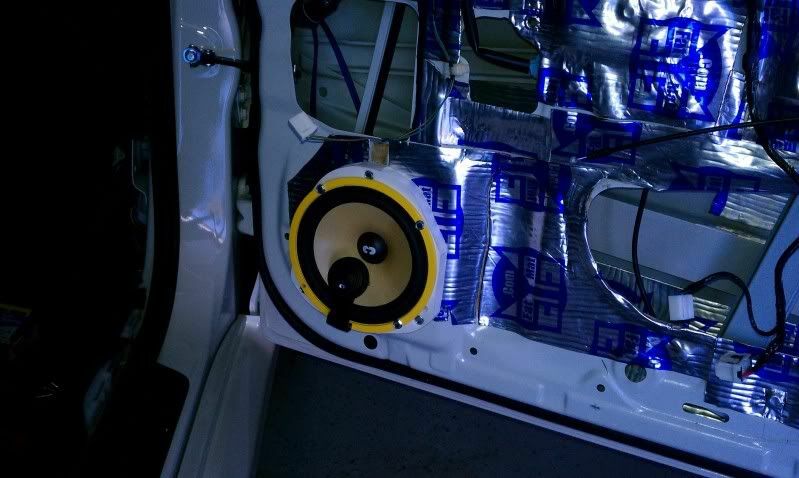 In the BRZ/FR-S/GT86 model, the bracket goes in the stock dash 3.5″ location and allows you to use an aftermarket tweeter in place of that speaker, since most aftermarket tweeters will not fit in the 1″ hole provided for the stock tweeters. For different Subaru vehicles, I have procured a variety of materials that work in different applications. High-density polyethylene (HDPE) – Used primarily in dash adapters. Polyvinyl chloride (PVC). 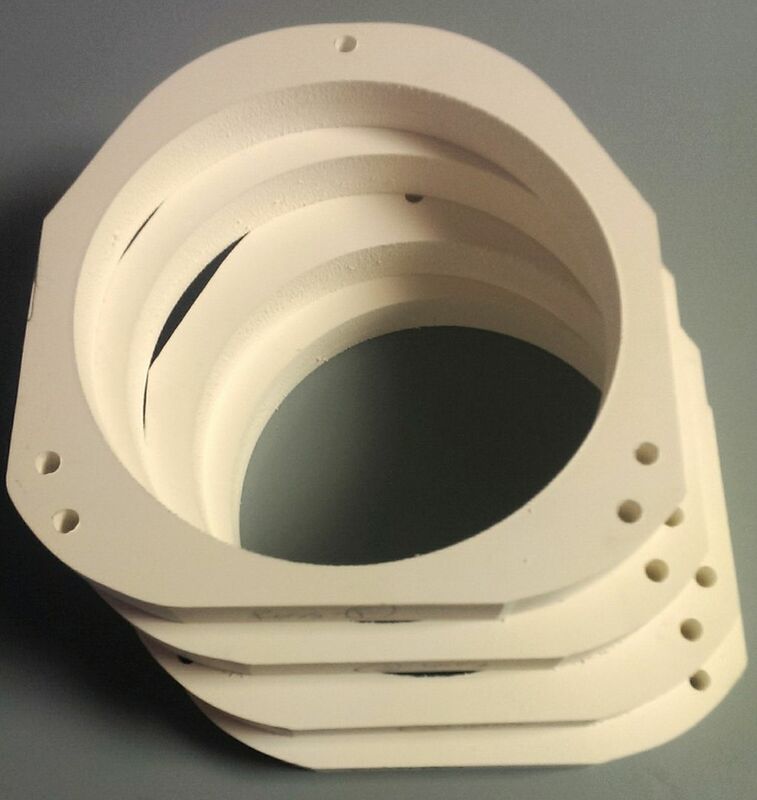 The majority of my adapters are made from PVC, which is a strong, dense material that is perfect for use in automobile applications. 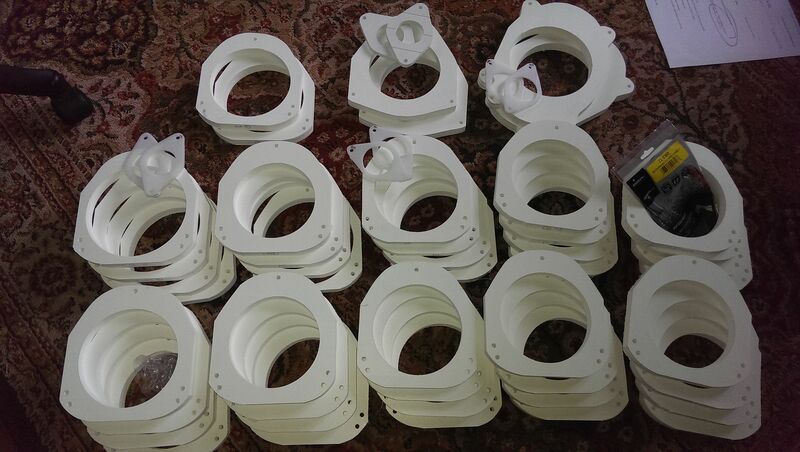 I have secured a source for 1″ thick PVC material, however it is both difficult to get AND more expensive than the 3/4″ material. 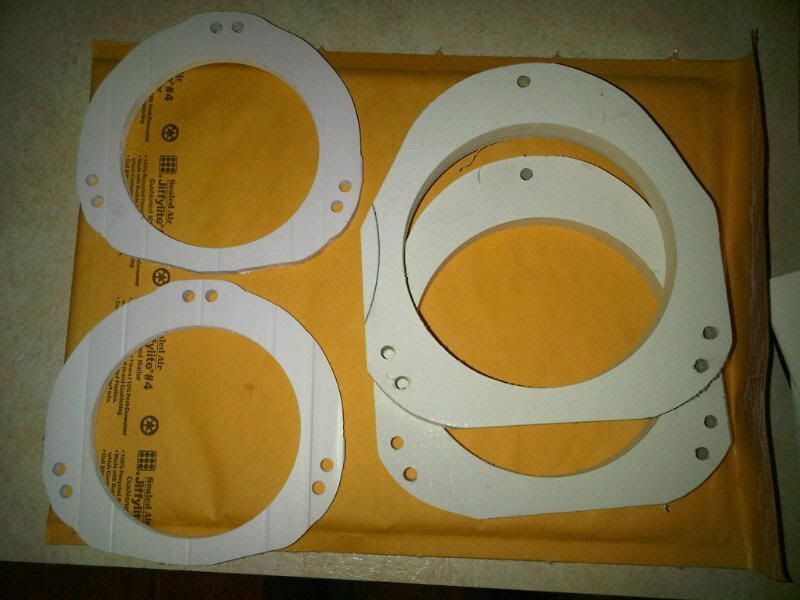 Getting this material is about a 1-hour trip for me beyond where I work (already a 1-hour drive each way) and the cost is more than double the cost of the 3/4″ PVC material. HOWEVER, I have enough to make roughly 10 sets. 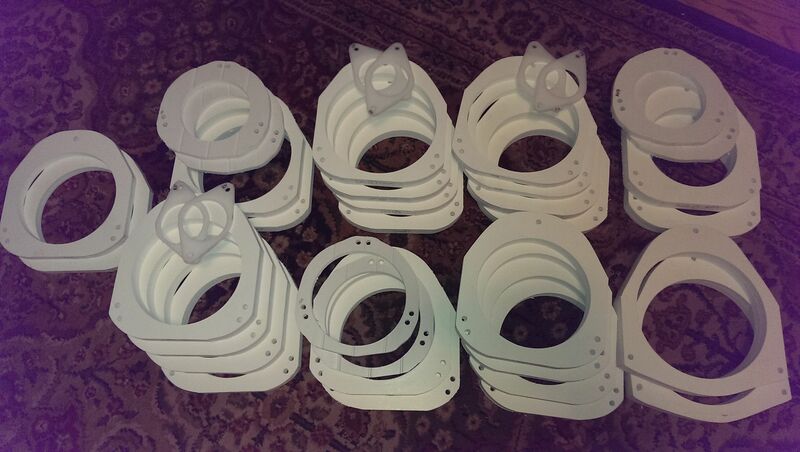 Cost will be $45 per pair, shipped. I do not recommend this unless you need the extra depth. The thicker depth may require filing and/or trimming of the inside of your door panel and/or minor filing of the adapters. 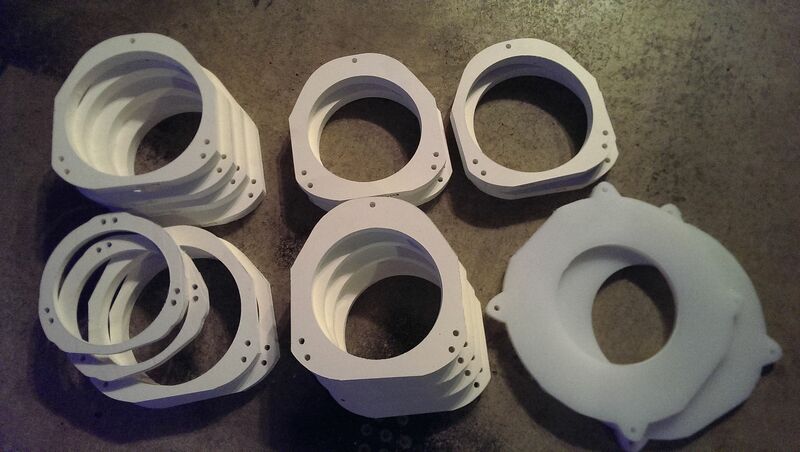 I never tested the 1″ adapters in any vehicles (but several Forester, Legacy, and Impreza owners HAVE used stacked versions of my 1/4″ adapters and my 3/4″ PVC adapters to gain more depth), so I have to issue that disclaimer. This additional depth MAY require extended door pins, in certain applications, but I have not (to date) received feedback that anyone actually needed the extended door pins. 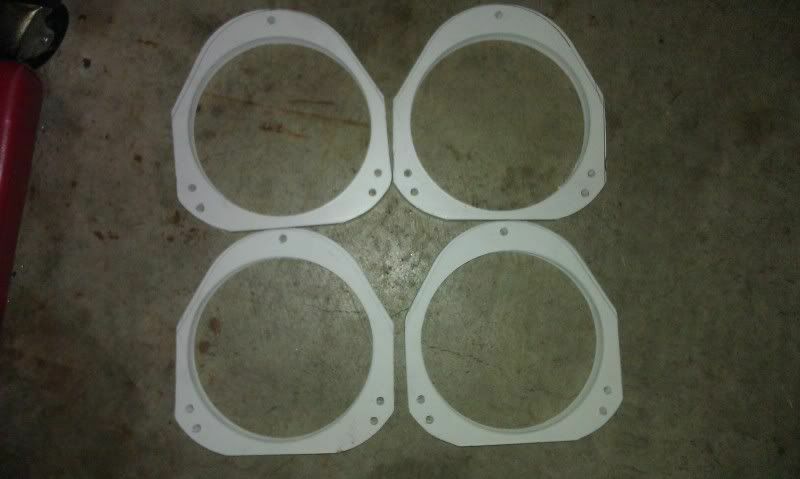 Adapters for most Subaru applications are made from 3/4″ PVC material and are custom cut to fit your specific speakers. 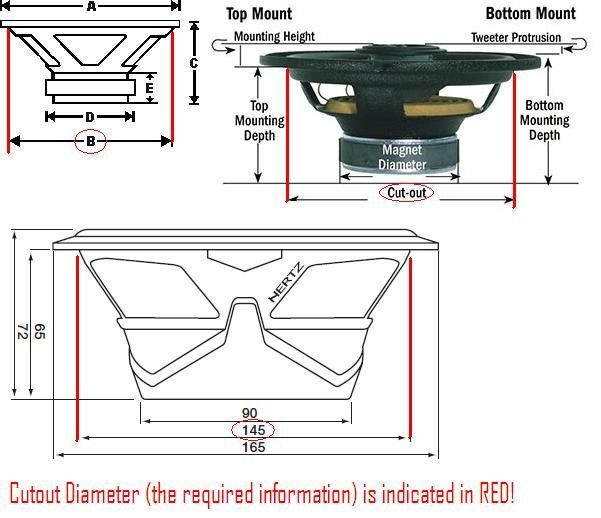 If you don’t know what speakers you want, I have 3 “generic” cutouts that fit about 95% of speakers classified as 6.5″ (for the “small” adapters) and 6.75″ (for the”large”). Those sizes apply to speakers from “regular” manufacturers that you can buy at large stores or chains. Any niche brands are likely to require a custom cutout- please contact me. 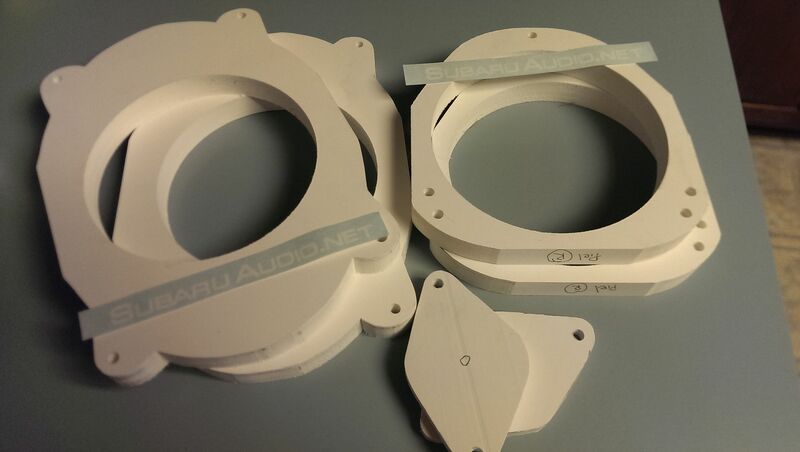 If anyone needs a special cutout for a 5.25″ speaker, I can do those as well. 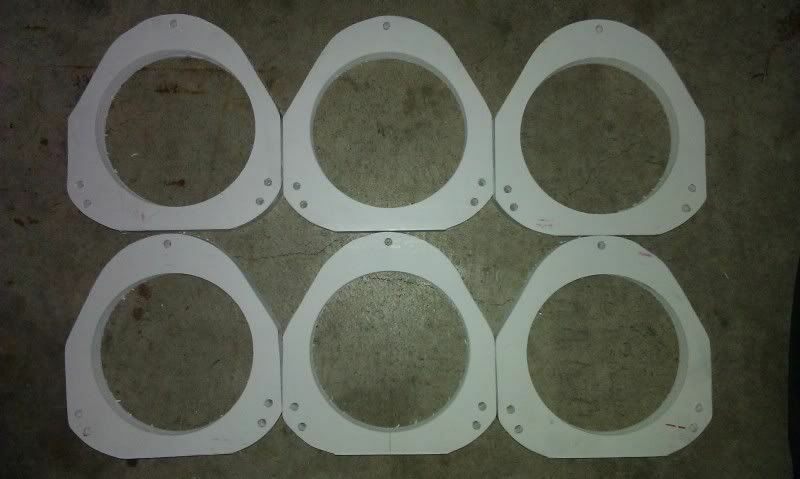 A few years ago, I made a set of prototype spacers for the front and rear doors of my 2008 Legacy to use in my car. 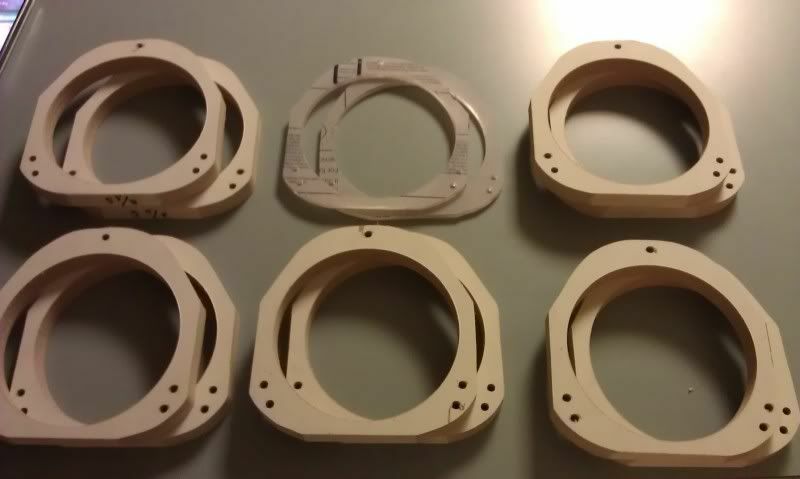 I had actually tried the Kartboy spacers and they don’t fit properly, so I decided to make myself a set, since I had the tools and materials available. I installed some Alpine Type-S coaxials to use as testers, and the spacers worked great. I even offered my prototype to KB for them to make and produce them, but they were not interested in producing another design, so I decided that I would make more upon request. 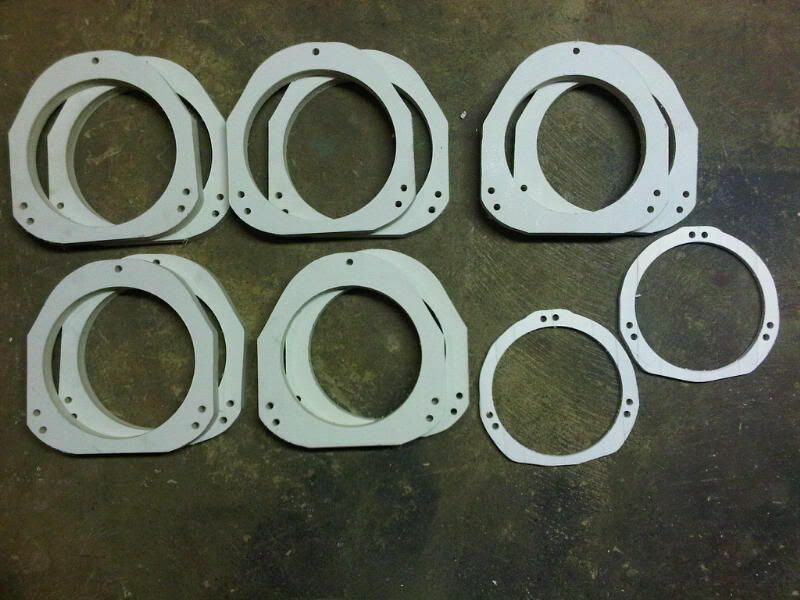 There was not a lot of demand at first, but as more and more Subaru owners found out about them, the request for completely custom adapters increased. 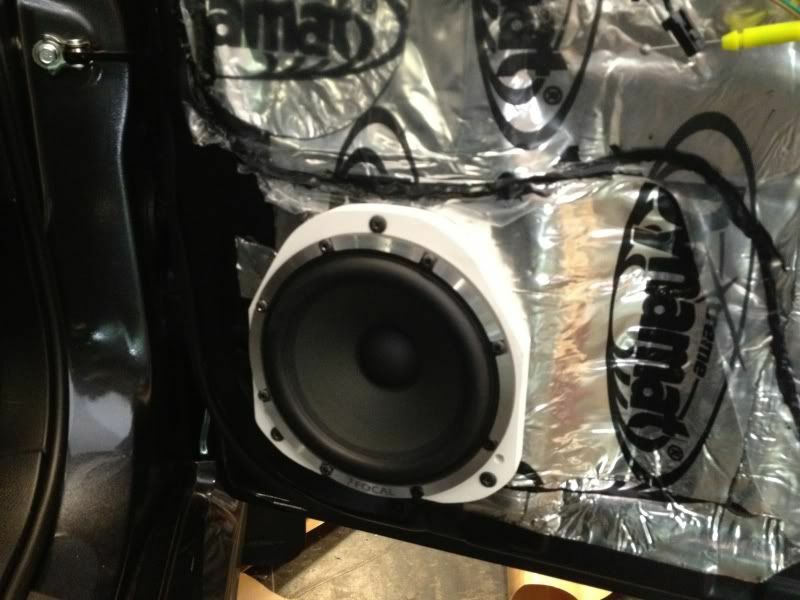 I now make them for just about any Subaru (or other manufacturer) vehicle and nearly every speaker model. Over time, I got more and more PMs from members wanting a set for the front or rear of their car, so I made more sets. Some were 5/8″ thick, while others were 3/4″ deep. 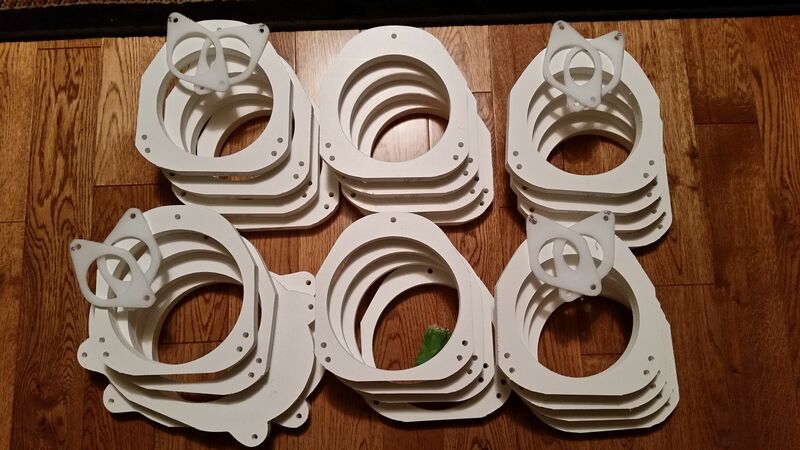 To help out my fellow Subaru enthusiasts (and to fund my own modding habits), I am currently making and selling adapters/spacers as needed. I don’t stock them or anything like that. You contact me, you pay, I cut, I ship, we prosper. From helping out other members of the Subaru community, I started developing how-to guides that were posted all over the forums, then I moved or copied them all in one place to provide a resource for Subaru owners. The result is this website. Your stock speakers have an odd shape. 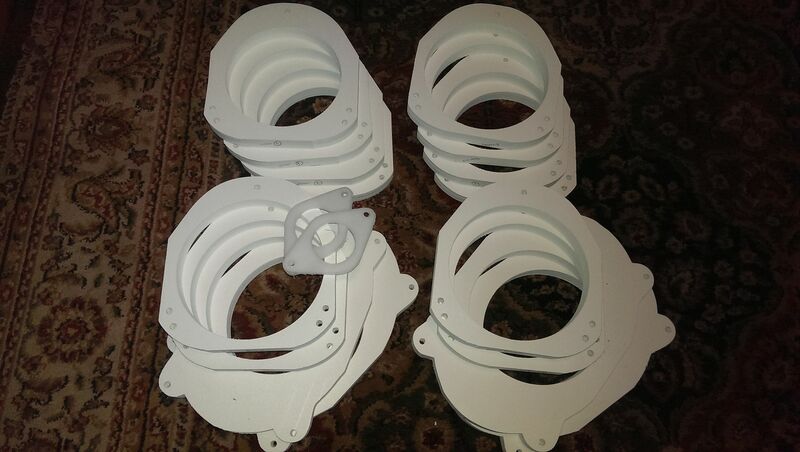 The speakers are contoured to fit the door, and the mounting holes are 3 holes in a roughly triangular shape where the screws go into a nylon insert (as opposed to the inner door skin). This helps prevent the screws from backing out too easily. This is a good thing, so you should try to re-use the stock mounting points. 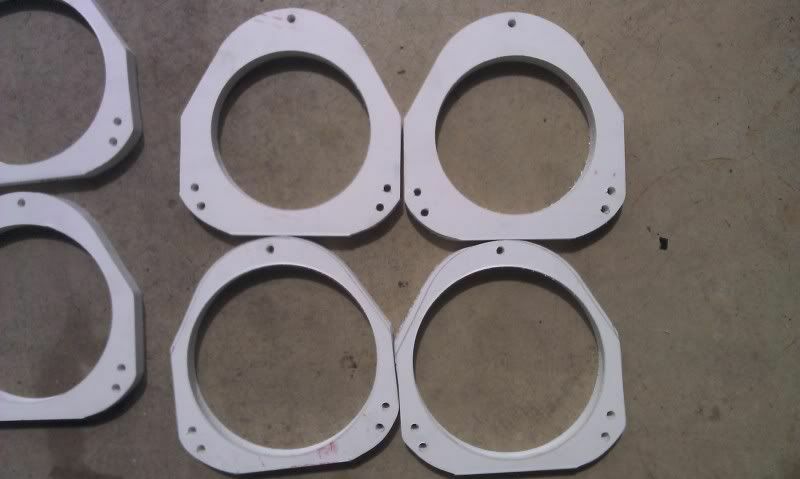 This means that you need some sort of an adapter, because aftermarket speakers typically use 4 mounting holes that are on a different mounting pattern than the stock circle. 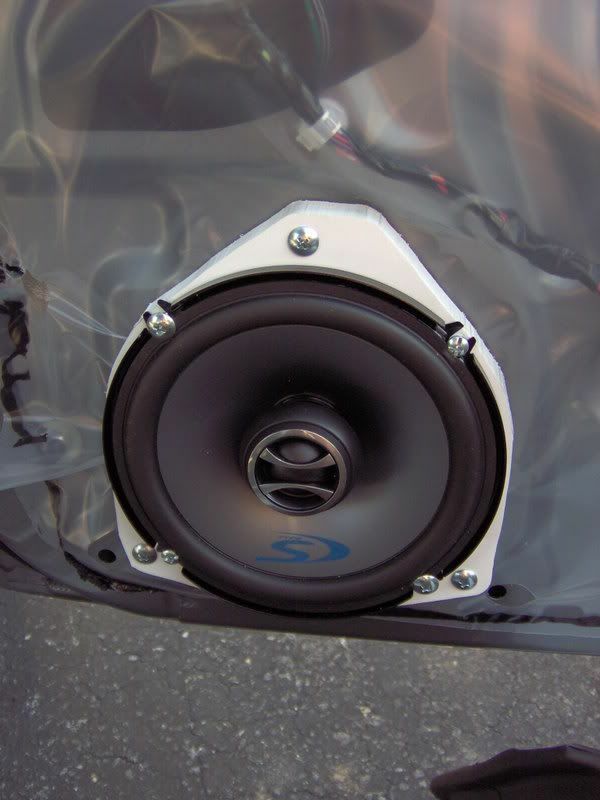 In addition to an adapter for the mounting holes, most aftermarket speakers are more robust than the stockers. This means bigger baskets, bigger magnets, and an overall deeper profile. 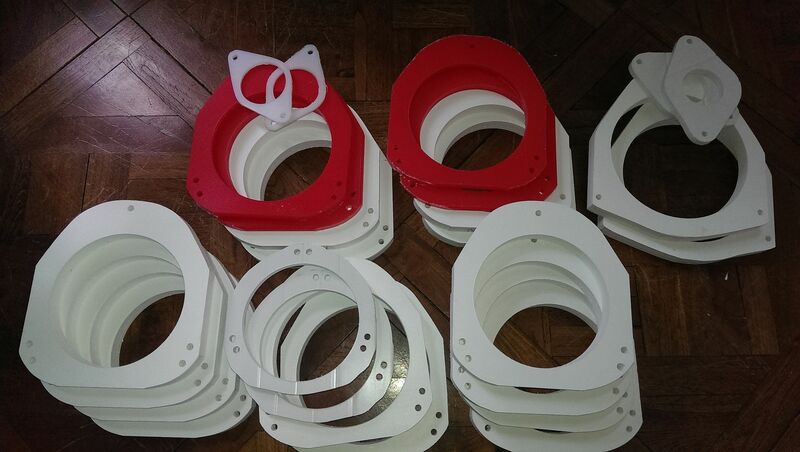 Sometimes, the basket diameter is much larger than the stock ones. 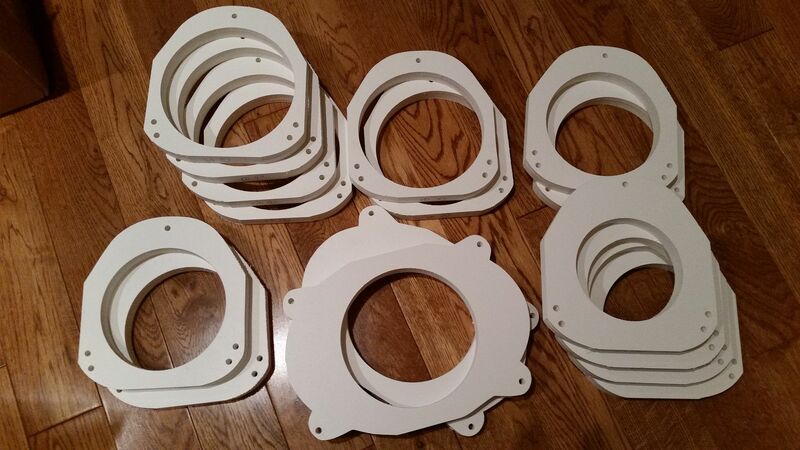 You need an adapter that has a larger cutout diameter. 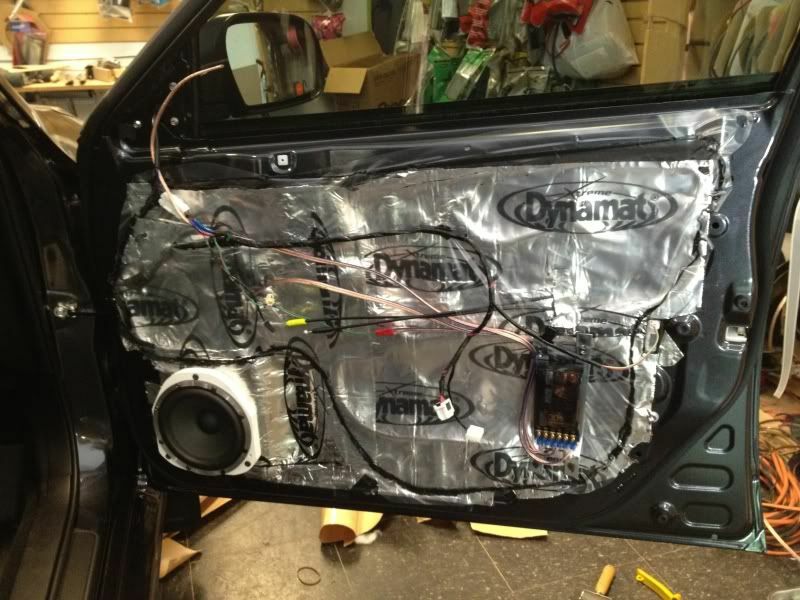 You will also need something that will allow your window to clear the larger magnet assembly on the back of aftermarket speakers. For this, you need a spacer. If you look at a stock speaker (or a picture of one), you can see that it usually has a built-in spacer. If you subtract that extra depth and just screw a replacement to the door skin, you lose a lot of mounting depth. Here is the stock mounting depth in the picture below. As you can see, not very deep. If you don’t have a spacer of some sort, you pretty much have the depths below to work with. Really, you only have 1.5″ (the shallower depth), because the OEM bracket is angled. 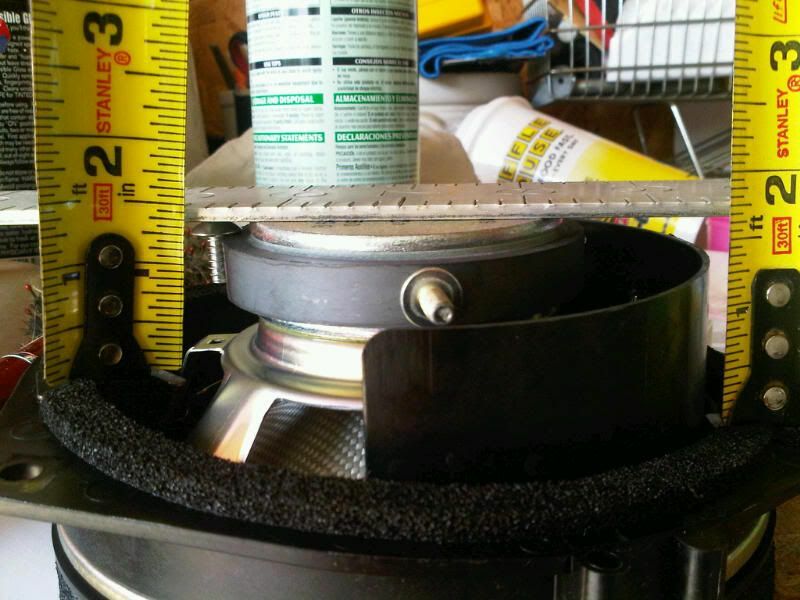 There is a little space between the window and the OEM speaker, so your max depth (without a spacer) would be more than 1.5″ and WITH a spacer should be fine for most common speakers. Somewhere in the 2.5-2.75″ range seems about right. If you have doubts, break out the tape measure and get a reading from the door skin to the window, when it is down (I’ll try to do this when I re-open my doors to do more deadening). 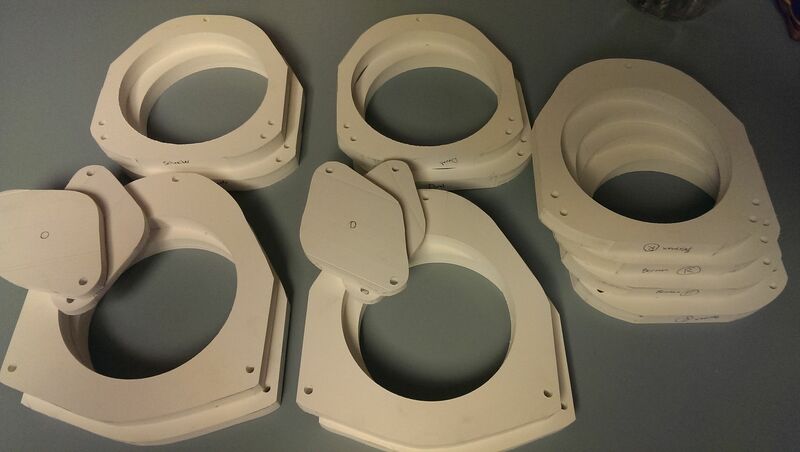 Also, I disassembled the OEM bracket to see if it can be reused, but it only allows for a mounting diameter of 4 13/16″ for a speaker to drop in. You COULD modify it, but I would not. At the end of the day, it is still flimsy ABS plastic, and once modified you can’t ever take it back to stock. As you can see, what is left is not very deep. 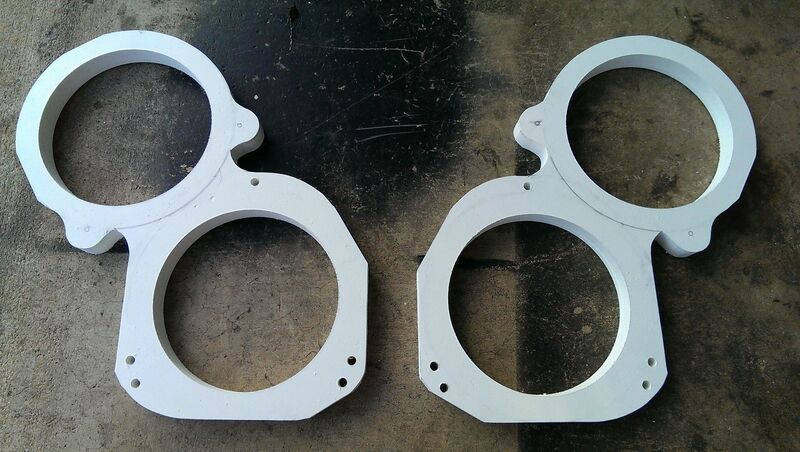 If you don’t have a spacer of some sort, you pretty much have only 1.5″ depth, because the OEM bracket is angled. 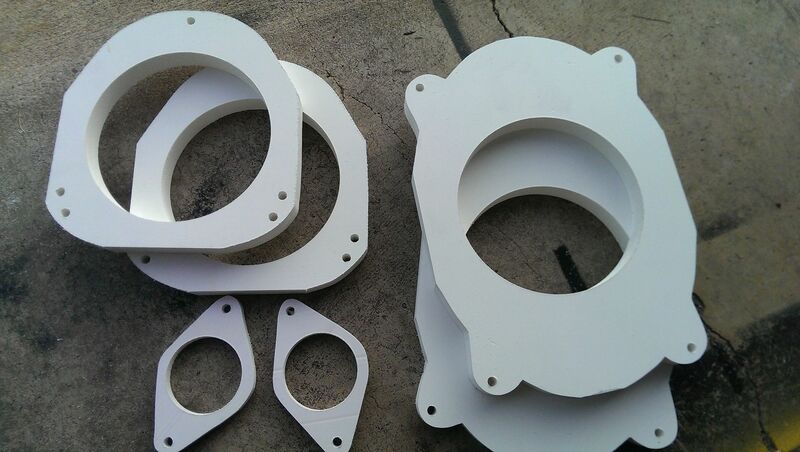 The spacer and adapter that I fabricate accommodate the additional depth needed to clear the window AND they adapt so that your speakers’ 4-point mounting system works with the 3-point OEM mounting configuration. As far as type of plastic, you can get injection molded plastic, but it tends to be thinner and more brittle than other options. 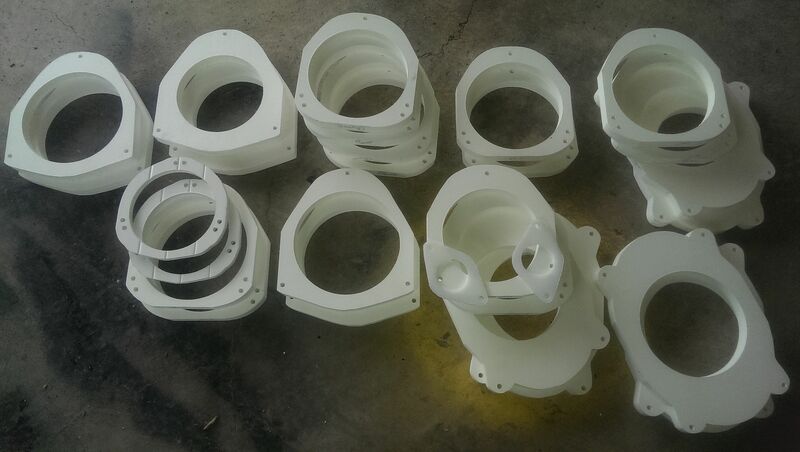 The preferred material is PVC (just like the pipes) or High Density Polyethylene (HDPE). Either of these are strong, dense, and will withstand the rigors of being in car doors. It does not split, swell, rot, mold, or fall apart like MDF. I have been using it in spacers for my cars for more than 7 years and have never had a set fail, an dI have made them for other people for almost as long with no failures to date. 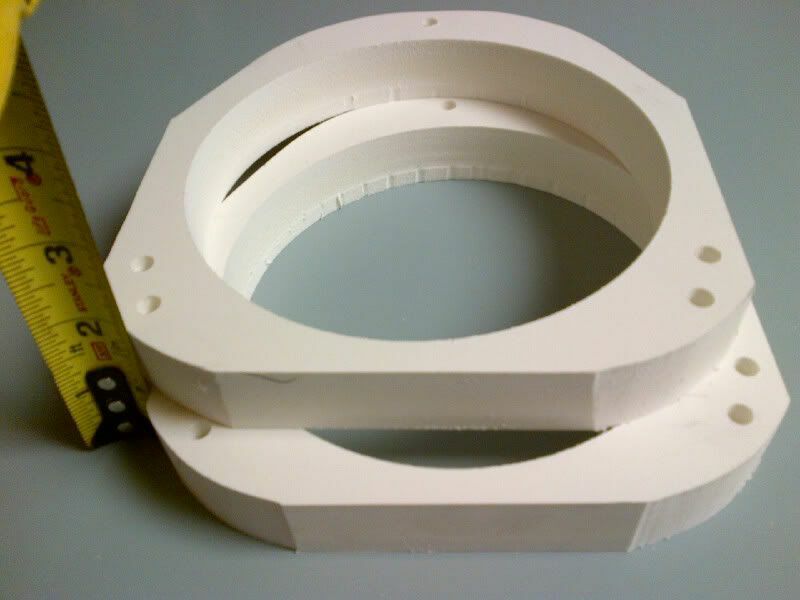 You can make spacers or adapters from MDF for a lot less than a composite plastic like PVC or HPDE, but the problem with MDF is that it absorbs water, leading to swelling, rotting, and splitting. This happens almost immediately, even in newer cars and even with a moisture treatment applied to the wood. Car vehicle doors are a wet and moist environment. Your doors have drain holes in the bottom to mitigate this, but it is not enough to prevent the wood from absorbing what that does get in. First, these are deeper. 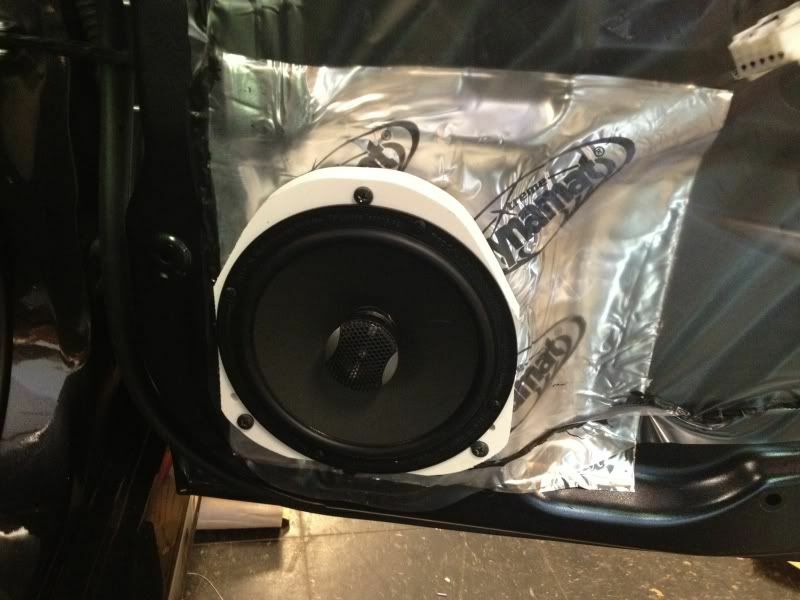 And second, they are custom cut to fit your speakers. I bought both the KB and iA ones- as well as several “universal” ones that were supposed to fit various Subaru models. Some I bought to use in my own car- other were for friends or family. In the end, nothing fit. Some were not the right shape to mount up in the car, and only one set out of six was deep enough to allow the mounting depth that I needed. In nearly every case, the “universal” mounting opening did not work for the speakers. Issues like these are how I first started making my own spacers. iA and Kartboy are the 2 main companies for the Subaru community. 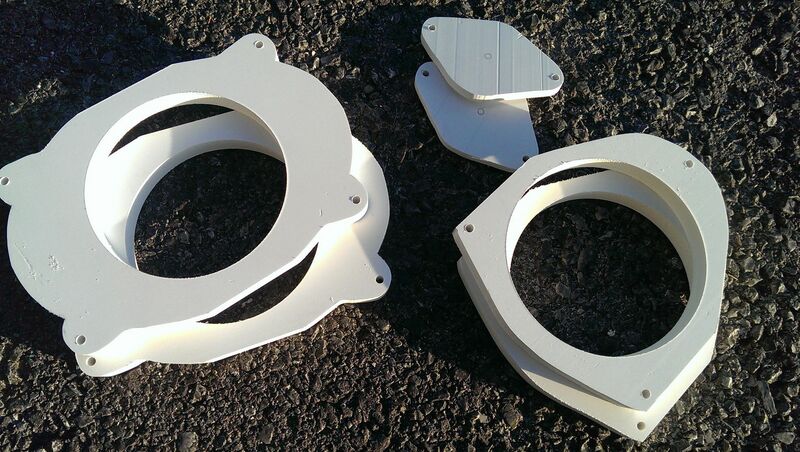 Both are 1-size fits all, and both adapt to the stock mounting holes. 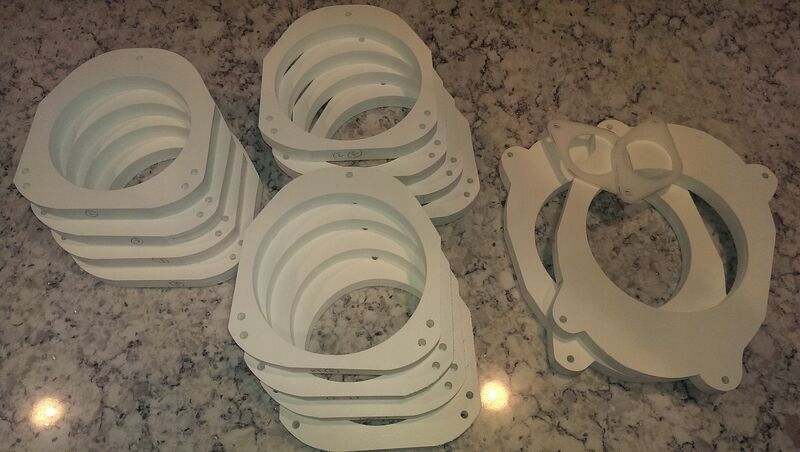 KartBoy spacers are HDPE and are about .5″ thick. This helps with the depth, but not enough for all applications. They are well-made, but are 1-size-fits-some. 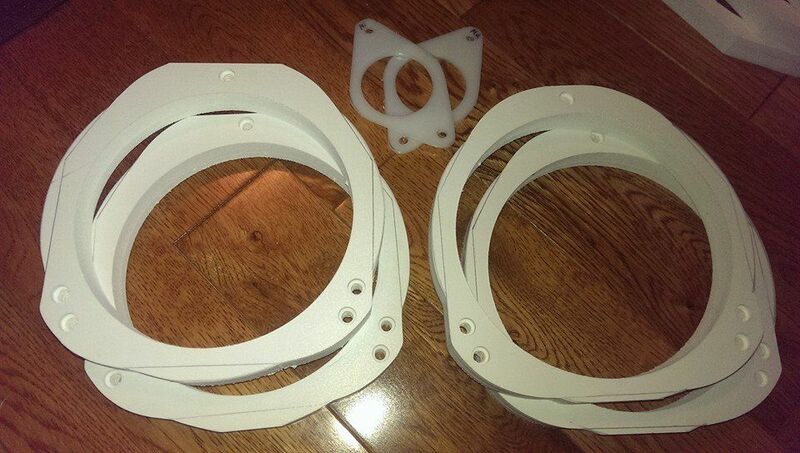 iA spacers are also 1-size-fits-most, but you get 2 thicknesses. 1 set is thin- about .25″, while the other is about .5″. 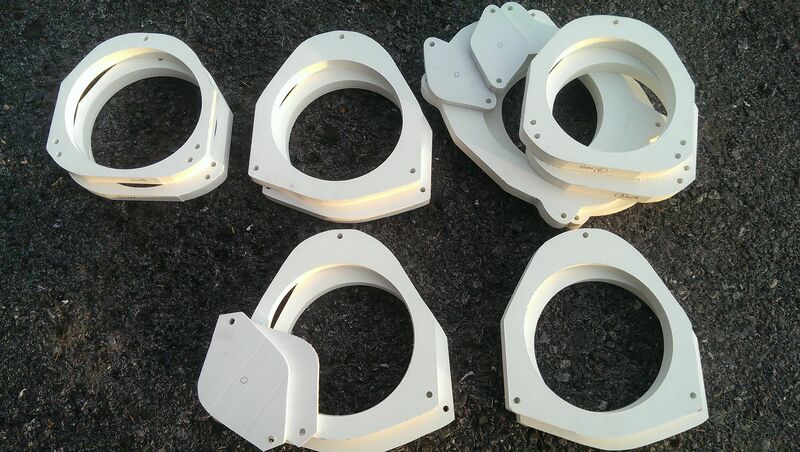 Some people stack them to make a deeper spacer, but then have nothing to use in the rear. Also only 1 cutout diameter. 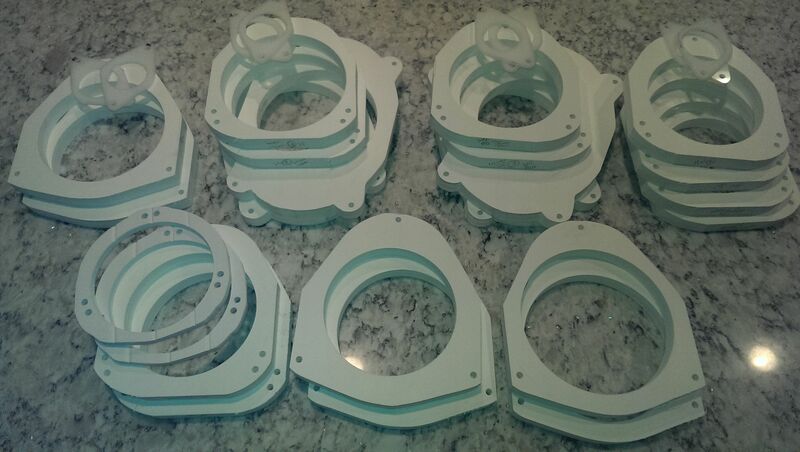 These are made of injection molded plastic- NOT what is generally recommended in the audio industry. Of the 2 above, I liked the KB ones better, but they were not deep enough for my application, so I made my own. I believe that KB has since gotten out of the spacer business. 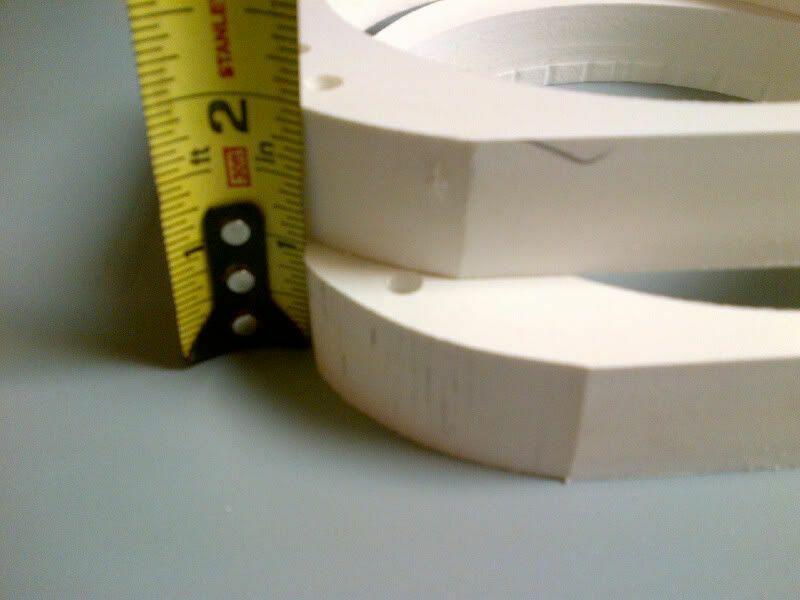 If you go with a local shop or contact someone to make you a set, you can get the accuracy of a custom-cut set, which has some significant benefits. 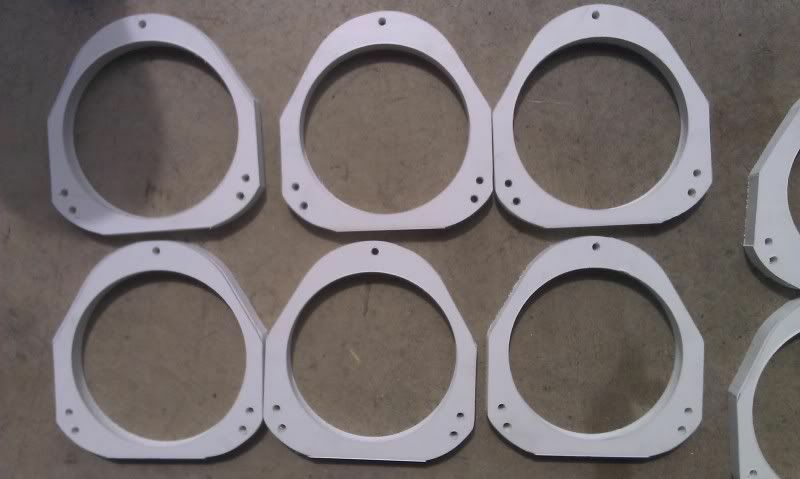 Just make sure that they use a quality material (see above) and have them made to your specs. 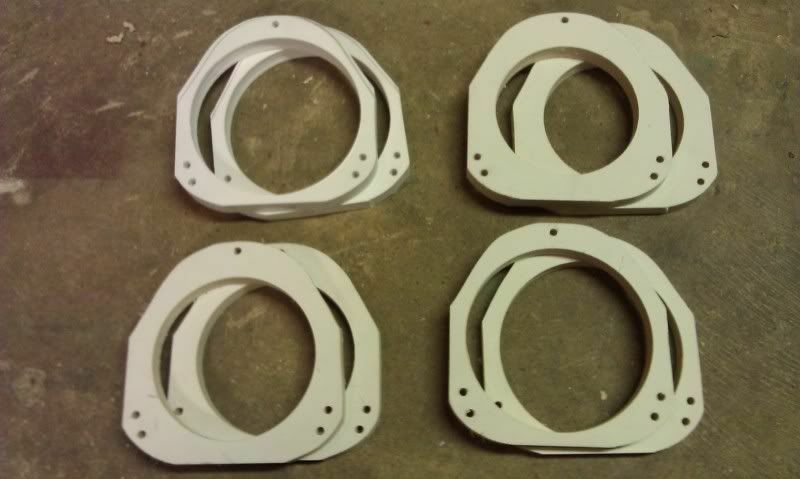 Expect to pay the shop their hourly rate for fabrication, plus material costs. 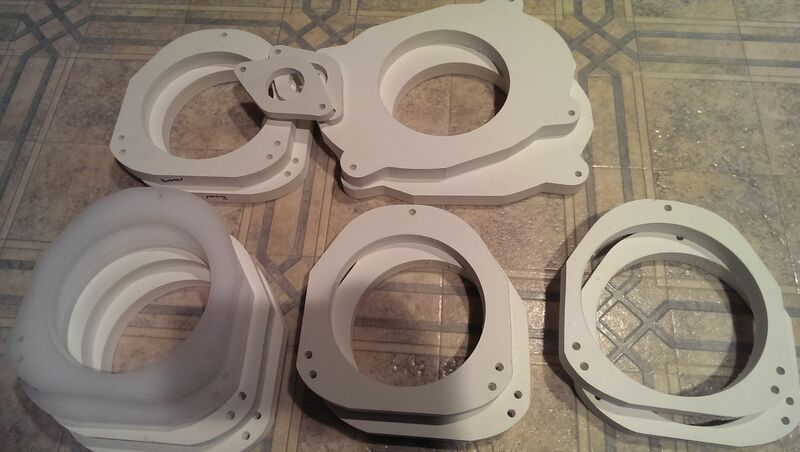 They might save you some money on the economy of scale if they have PVC or HDPE for these sorts of projects. 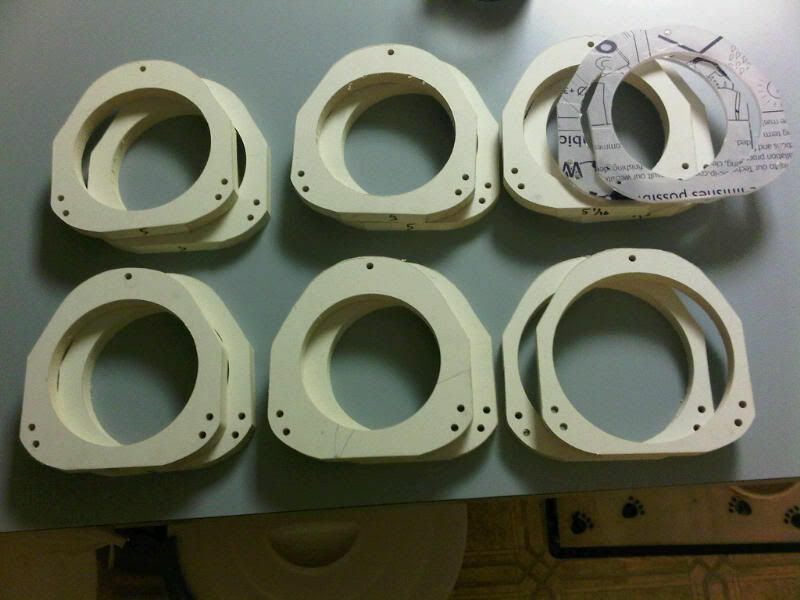 To make my own adapters, I used 3/4″ PVC (about $30 for a sheet, which is more than enough for a few sets of adapters, but only sold in 8′ and 12′ lengths. Yes, that was FEET, not inches.). 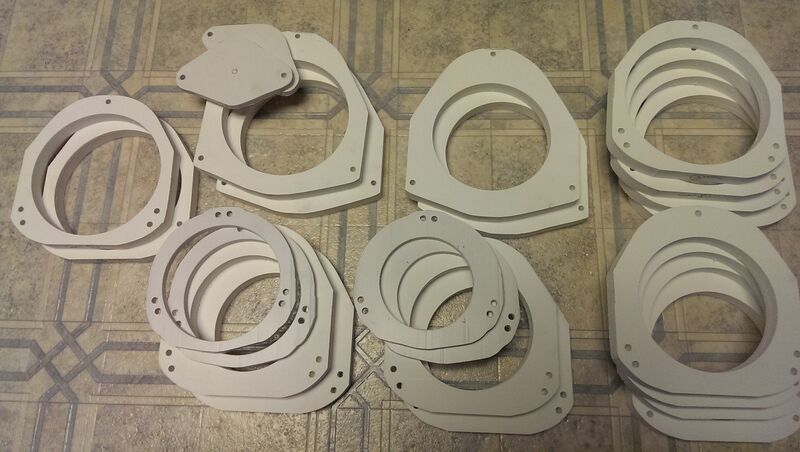 Various widths are are available- I use 7.25″ wide material for mine. I used PVC for my WRX and in all of my past cars. It works well, does not split or rot, and was easy to work with. The 3/4″ depth has worked well for 95% of speakers that I have seen. 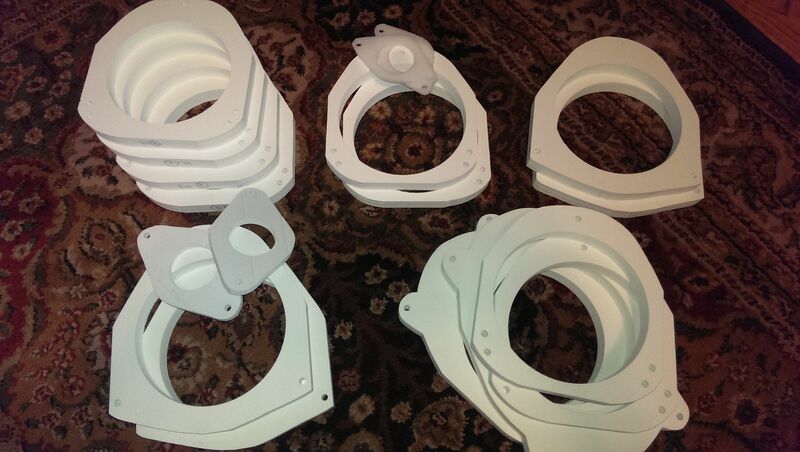 The tools needed to make your own depends on what you have available. You need a drill for the mounting holes, but otherwise you can be flexible. I use a fly cutter in a drill press for the center cutout, then a drill press for the mounting holes, then a bandsaw to cut the outer perimeter. You can do them with a router and a hand drill, a coping/jig saw, whatever you have. The material is not cheap (about the cost of buying a set), but you’ll have leftover material, even if you mess up a few times. “+1 for Phenryiv1 and his spacers. Top-notch customer service and these things are RIDGED! 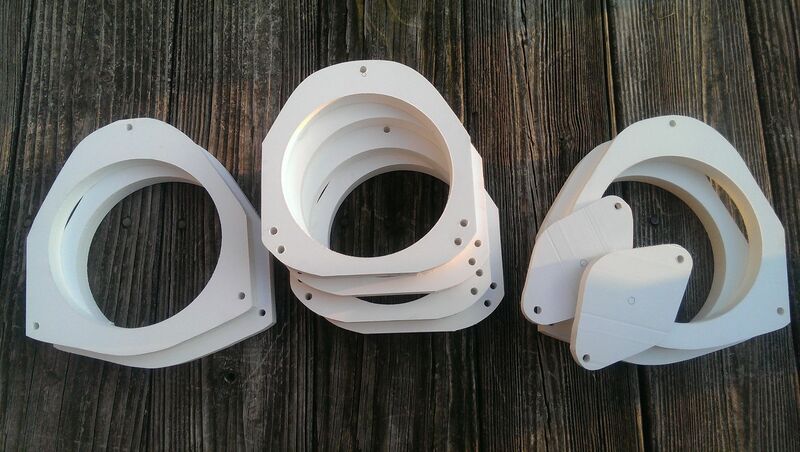 This PVC he uses is perfect for spacers, better than MDF. You also don’t have to worry about them falling apart from moisture. 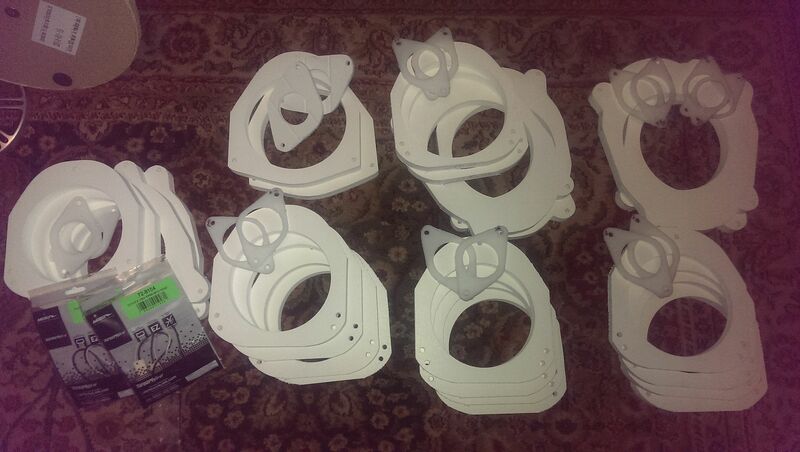 “Just wanted to thank you for the excellent speaker mount! 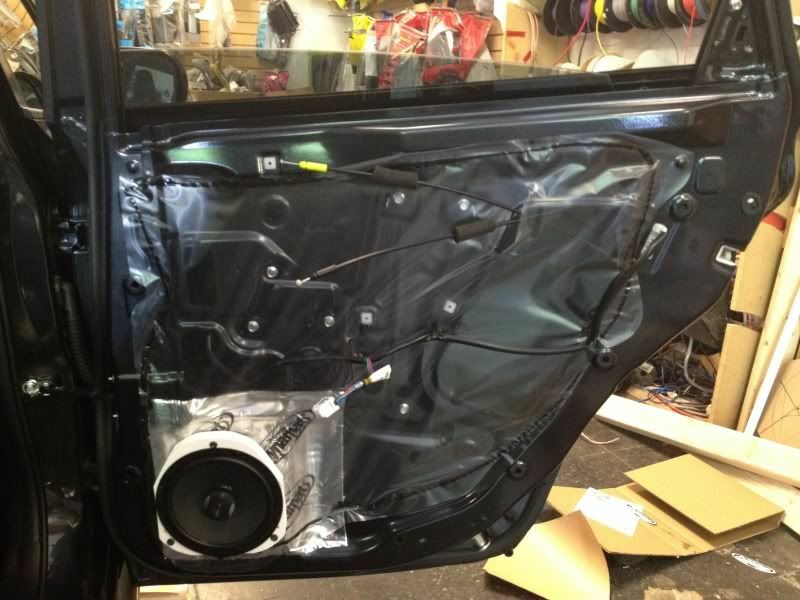 It’s well made and easy to install.” Gabor M.
“Hello Patrick I installed the DXi’s in my rear doors of my Crosstrek, they went in perfect. They sound just great! I am enclosing two pics of the speakers for you to use as you wish.” Fred J. “Just wanted to say big thanks for the adapters. They’re a perfect fit!!! 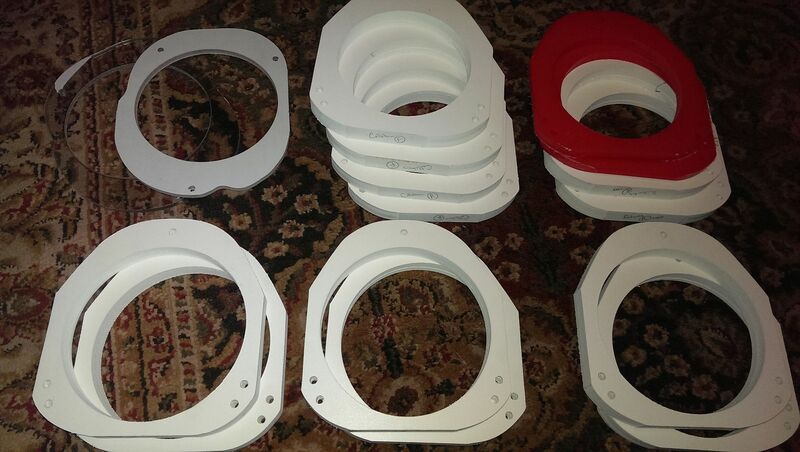 Many thanks once again.” Ralph G.
Subaru speaker spacers / adapters, custom-cut to your application and the specifications of your chosen speakers. Please see the Pricing Page for more pricing and shipping information. US and International shipping welcome.